One of the things that I was looking forward to this year in Tucson was visiting JTI at the former La Fuente restaurant on Oracle. Renovations to the building are still underway, but there was a large tent set up in the parking lot which held a very small portion of Rock Currier's personal collection. 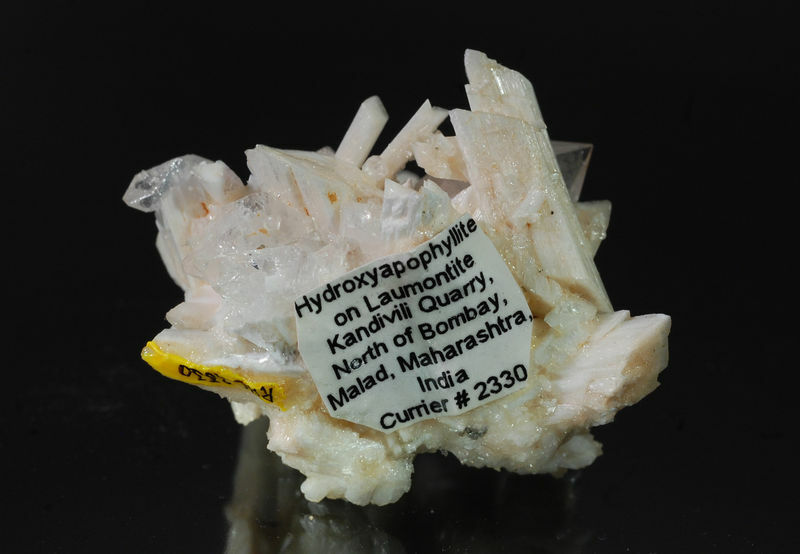 As a dealer who imported many tons of Indian zeolite specimens, it was interesting to browse through some of the pieces that he kept for his personal collection. I picked up this little piece more for the mineral association and label than anything else. Rock was a big proponent of affixing a "lifesaver" label to each specimen, identifying the mineral and location permanently, and the second photo shows that he practiced what he preached. 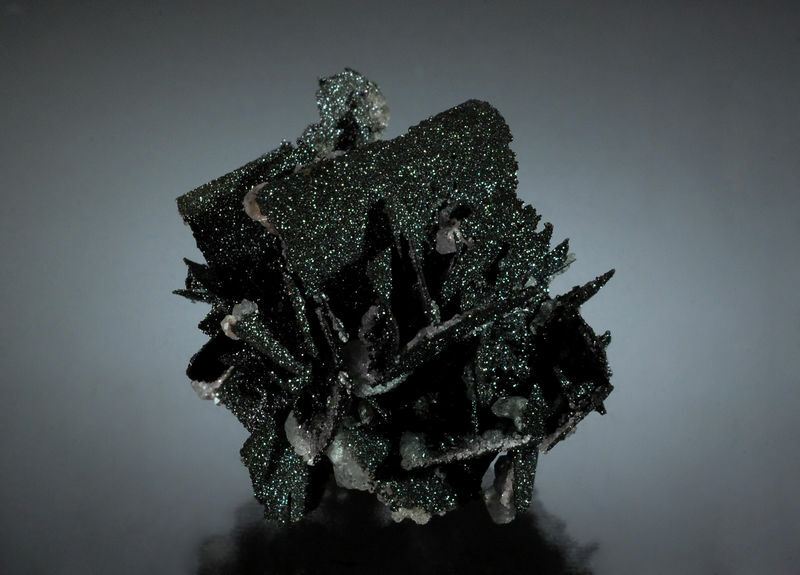 His very detailed description notes that he obtained this piece in a shipment of zeolites from Hussein Tyebjee in 1975. 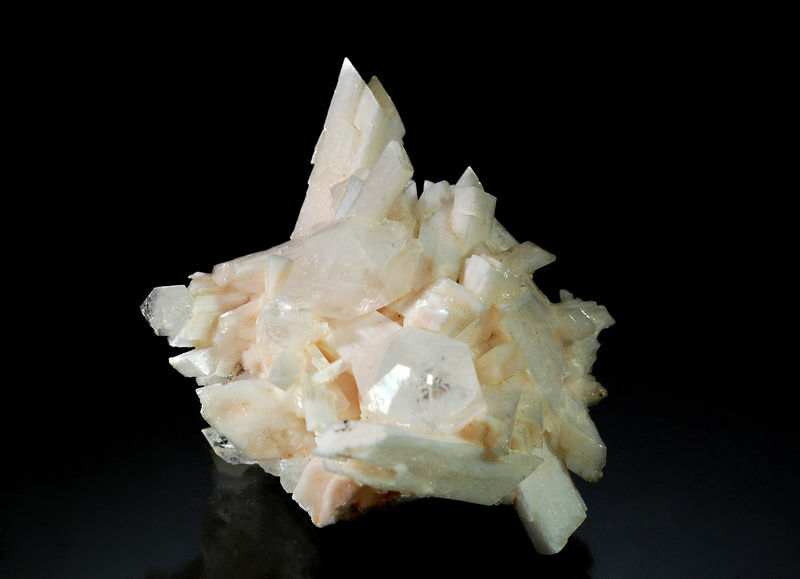 Creamy white, prismatic laumontite crystals associated with several colorless hydroxyapophyllite crystals. 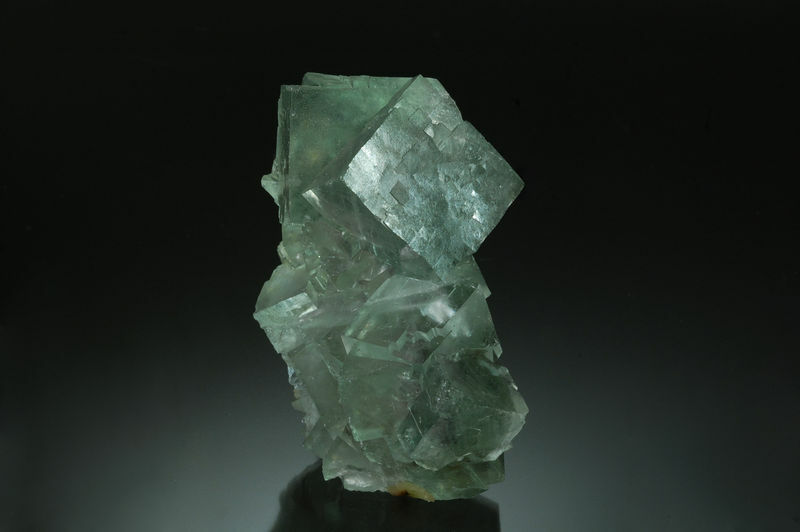 Pale green cubic fluorite collected from a remote location in the Gobi Desert in 2016 and just now making its debut at the Tucson Show. 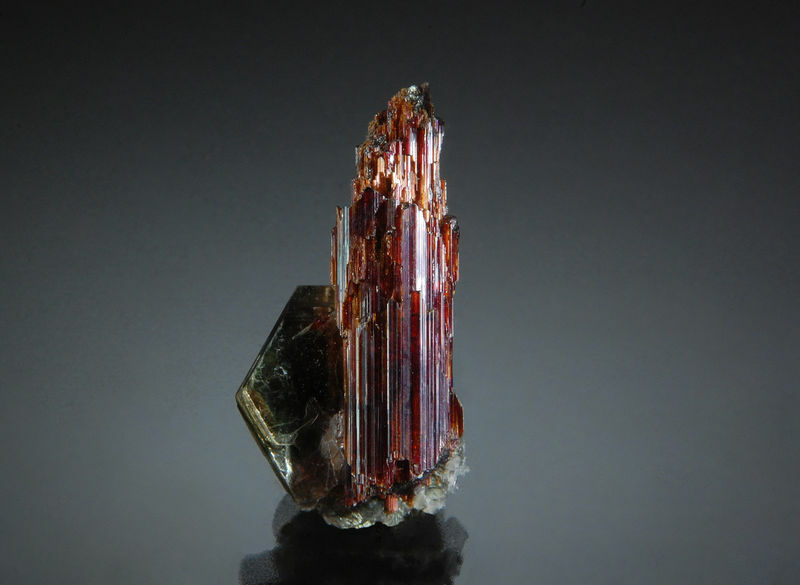 A nearly muzo habit quartz showing a clearly defined rhombohedral s-face. Nice find crosstimber, this last one almost looks like it's been worked on by a machine! 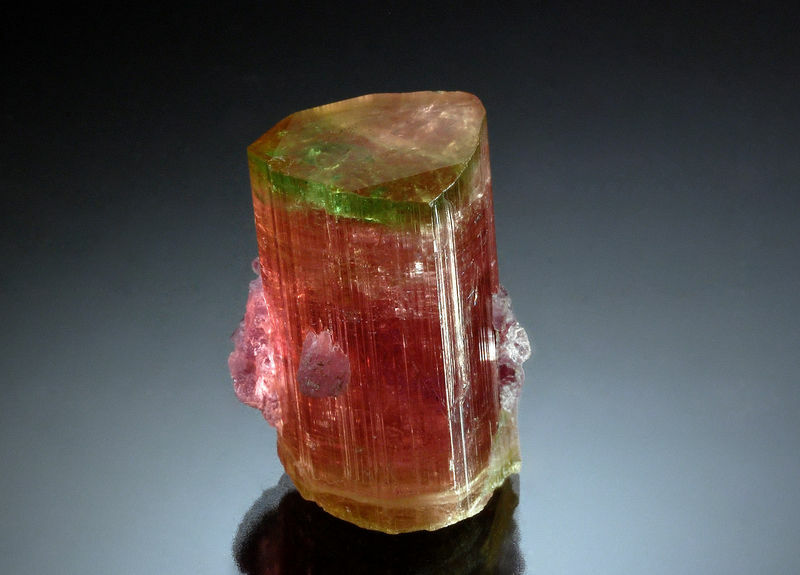 These minerals which naturally take geometrical shapes have always been my favourites. A sparkly druse of mottramite replacing crystals of wulfenite to 1.5 cm. That sharp Peñas Blancas quartz is a true beauty, Michael! 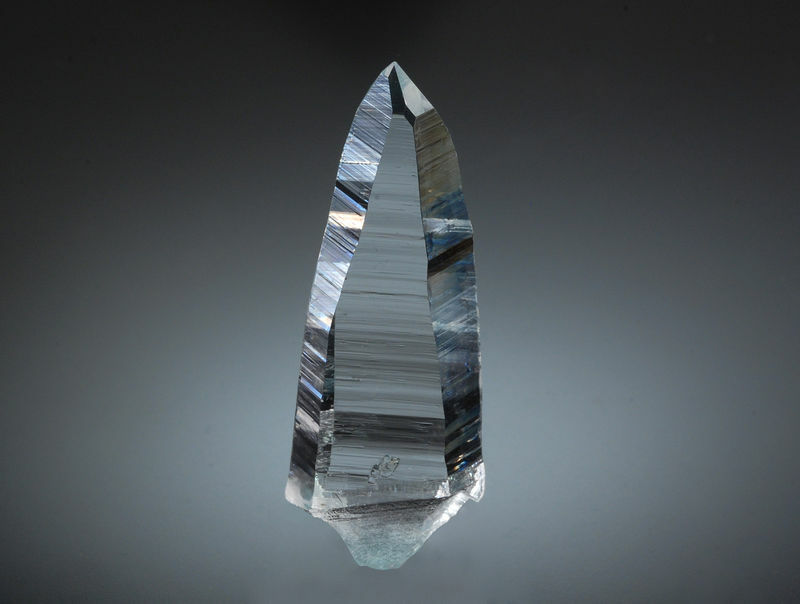 I love the heavily striated prism faces and water clear transparency throughout the entire crystal. 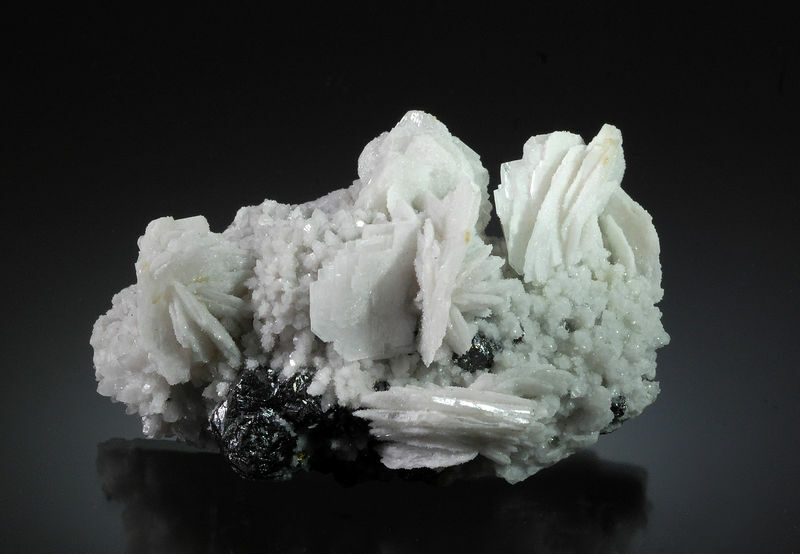 Bladed white barite rosettes with sphalerite and drusy quartz from the Michal Mine. 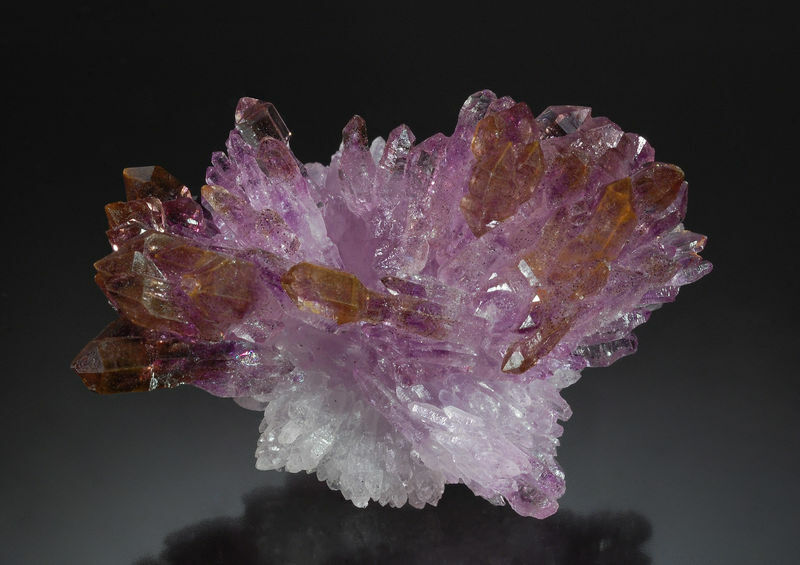 Flower-like arrangement of purple amethyst crystals on colorless quartz. 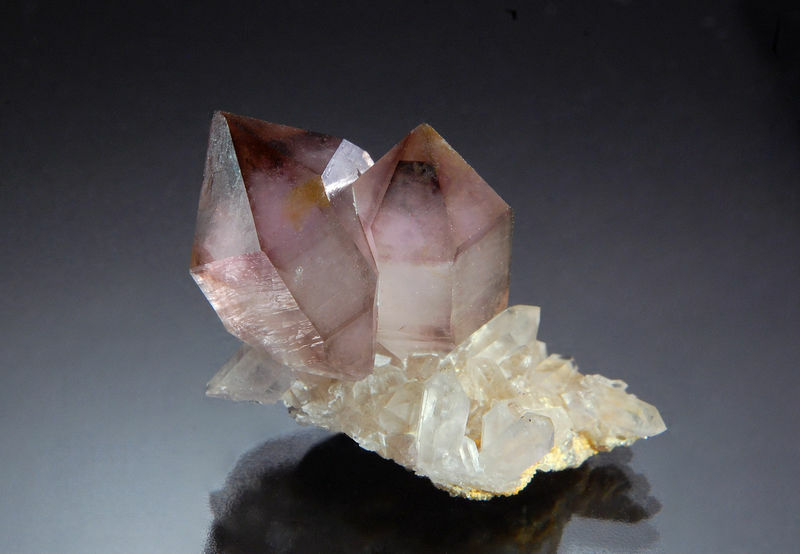 Many of the amethyst crystals are sceptered and tinged yellow-brown with iron oxide. 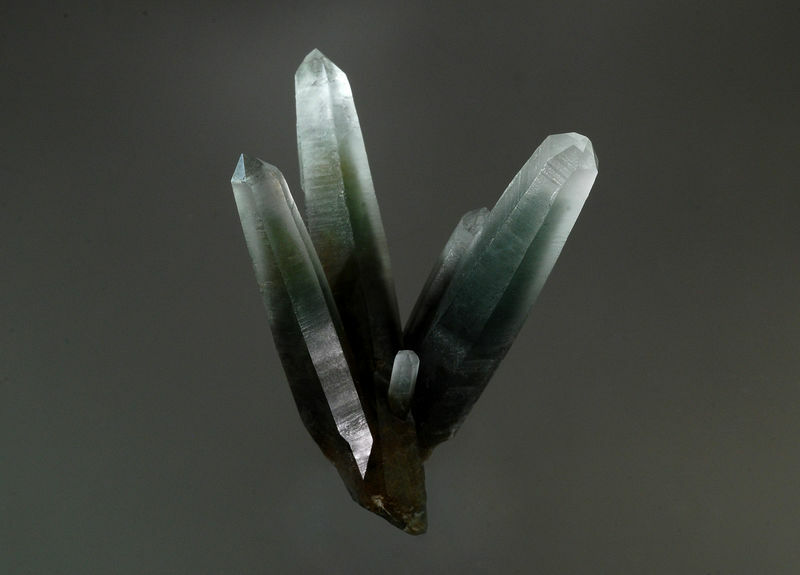 A divergent group of quartz crystals to 6.9 cm with inclusions of dark green actinolite. 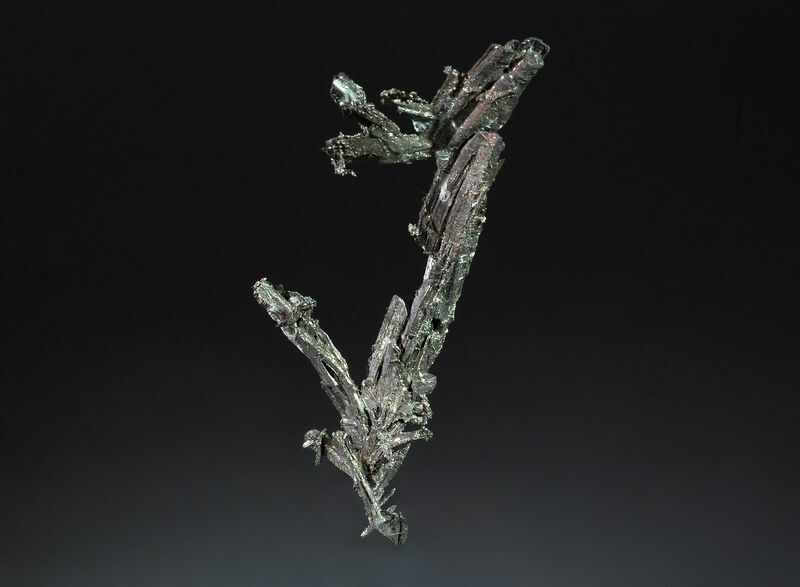 Pyromorphite group from the Königsstiel adit, near Braubach. 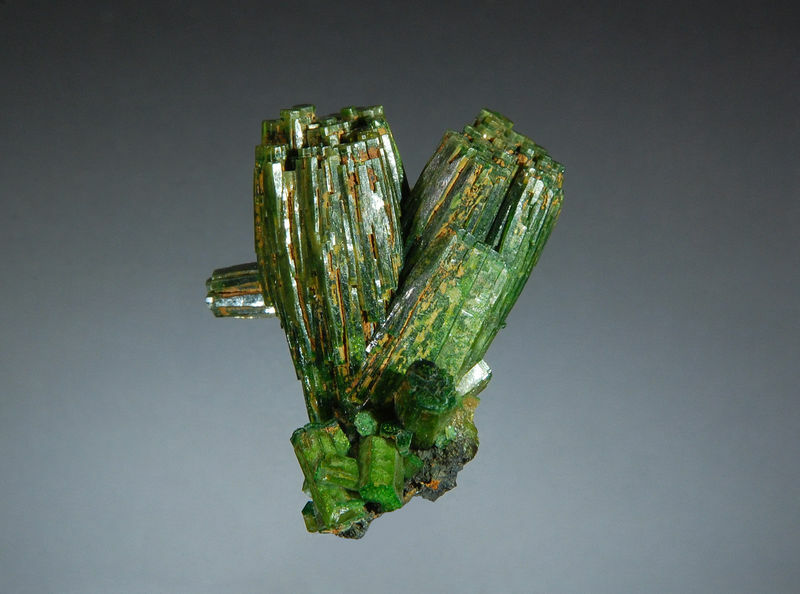 Great structure and a very saturated green colour, even many German collectors would like to have such a specimen in their collection. What a wonderful little sculpture, a perfect miniature of a great German classic, ... well, THE German classic ;-) Great structure and a very saturated green colour, even many German collectors would like to have such a specimen in their collection. A couple of amethyst crystals with smoky zones on a plate of colorless quartz. Collected in 2018 - it's nice to see the Reel Mine active again. An intergrown group of celestine from the Muculufa Mine, Butera, Sicily. 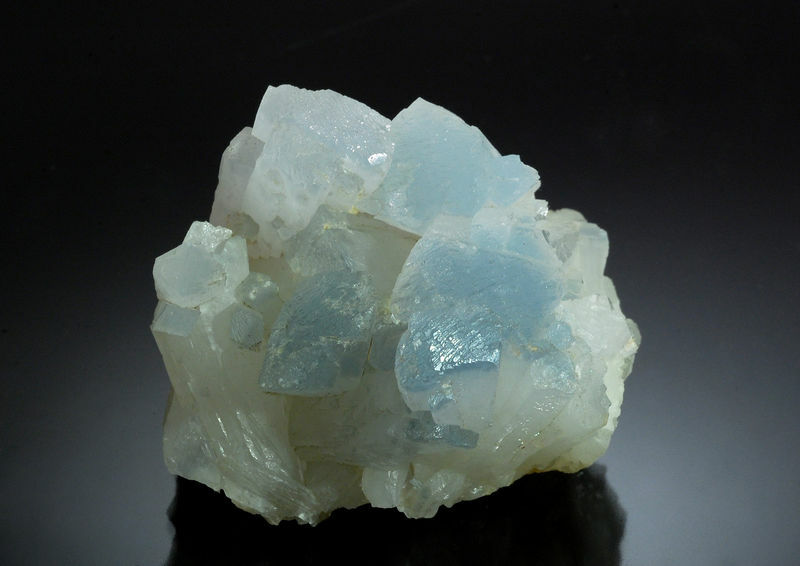 The mostly colorless crystals have pale blue zones at the termination. 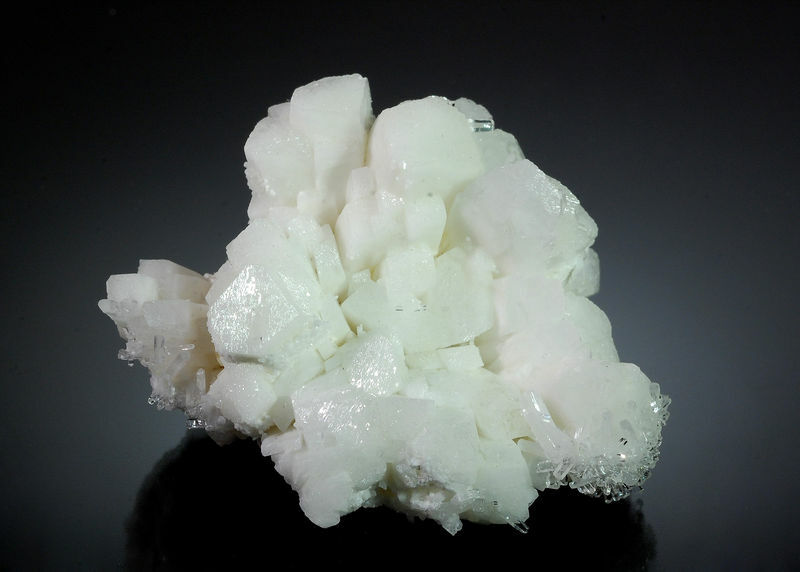 Milky white celestine crystals with a secondary growth of small clear celestine crystals associated with massive yellow sulfur on the back side.